There's always a place for fresh and frozen favourites inside this 19.2 cu. ft. top-freezer refrigerator. Finding food is easy thanks to energy-efficient LED interior lighting, and for more convenient storage options above the refrigerator crisper, the Flexi-Slide bin quickly moves side-to-side. There's even an additional door bin to help you store more, so there will always be room for what you want, where you want it inside the top-freezer refrigerator with electronic temperature controls. Plus, you won't have to fill ice trays again with the compatible, easy-to-install EZ Connect icemaker kit (model no. ECKMFEZ2). 28-inch 16 cu. ft. Top Freezer Refrigerator with Improved Design in White Fit all of your fresh and frozen favorites without sacrificing any space with the 28" wide top-freezer refrigerator with 16 cu. ft. capacity. To give you more convenient storage options, the Flexi-Slide bin quickly moves side-to-side. Plus, enjoy quiet cooling with improved design and ice cold temperatures inside the top-freezer refrigerator with freezer temperature controls. You'll always be sure to have plenty of ice on hand with the optional icemaker. And, there's even frameless glass shelves to give your food a little more elbow room for wall-to-wall storage. 28-inch 16 cu. 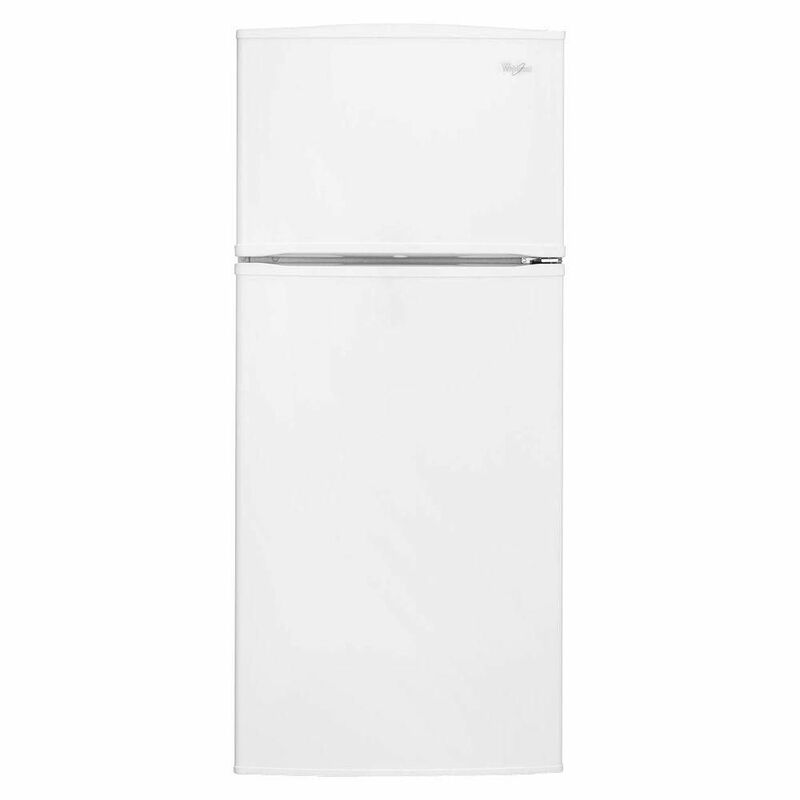 ft. Top Freezer Refrigerator with Improved Design in White is rated 4.4 out of 5 by 152.